Always with a smile on his face) This is important for patients. Attentive, charming, professional-competent, as far as I can appreciate from my own communication experience during the operational rehabilitation period. Thank you Doctor! 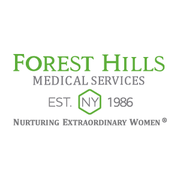 Forest Hills Queens OB/GYN Medical Services Our practice is dedicated to the Healthcare of Women and provides complete Obstetrical and Gynecologic services. Physicians are available within our practice specializing in high risk pregnancy and childbirth, the treatment of women with cancer, and problems related to urinary incontinence. With the goal of providing unique and personalized medical care, Forest Hills Medical Services was founded in 1986 by Dr. S. Soukkary and Dr. S. Gohar. In 2013, Dr. James A. Gohar took over his mother’s practice with the aim of continuing her patient-centric approach to obstetrics and gynecology. Under Dr. Gohar’s leadership, the office was completely renovated to modernize the space, incorporate new technology, and make it as welcoming and comfortable for patients as possible. A patient’s comfort and individuality are what drives and gives pride to continue this tradition for over 30 years. As many in the community can attest to, the tip is having a simple and sound approach to old-fashioned medicine while using the most advanced technology available today. The patients receive one-on-one personal care without the long lines.